Tom Marwick is currently the Director of the Menzies Research Institute, Hobart and the former Director, Center for Cardiovascular Imaging at the Cleveland Clinic, Cleveland, Ohio, USA. An internationally recognised expert in the field of echocardiography and an eminent teacher and scientist with numerous peer reviewed publications. He has authored and co-authored many book chapters on various facets of echocardiography. Sudhir Wahi is a Senior Staff Cardiologist, and the Director of Echocardiography at the Princess Alexandra Hospital and a Senior Lecturer at The University of Queensland in Brisbane. He completed his advanced fellowship in cardiac imaging at the Cleveland Clinic Foundation, in Ohio, USA, before returning to his current position. An enthusiastic teacher and researcher, he has been supervising advanced trainees in cardiology, cardiac scientists and clinical fellows in all forms of echocardiography for over 10 years. Liza Thomas is a Conjoint Associate Professor at the University of New South Wales and a Senior Staff Specialist in the Department of Cardiology at Liverpool Hospital. Her research focuses on echocardiography and noninvasive cardiac imaging. Specific interests include imaging for the assessment of atrial dynamics and function, diastolic function, chemotherapy induced cardiomyopathy, amyloid and Fabry cardiomyopathies and cardiac involvement in chronic kidney disease. She supervises PhD, Masters and ILP students and teaches medical students, BPT’s and cardiology fellows. 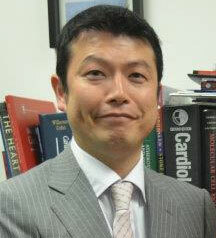 Kaz Negishi is a senior lecturer and cardiologist at Menzies Research Institute Tasmania. He graduated from Gunma University, Japan and completed a two-year Echocardiography fellowship at Osaka City University, Japan. He completed his PhD at Gunma University Graduate School of medicine. He then moved to Cleveland Clinic, USA to pursue his research interests and spent three years as a research fellow under the supervision of Professor Tom Marwick. His main area of interest is clinical application of Echocardiography, especially strain imaging. He is also interested in the application of the cardiovascular imaging such as chemotherapy induced cardiotoxicity, ventricular-arterial coupling in haemodialysis patients and the effects of air pollution on the cardiovascular system. Lesley has been a Clinical and Research Echocardiographer and Educator for over three decades, specializing in Paediatric and Adult echocardiography. Most of that time was spent at Monash Medical Centre in Melbourne, Australia. Recent positions included Tutor and Echocardiography Consultant at the University of Melbourne for Post Graduate Clinical Ultrasound Courses for Anaesthetists, Emergency & Intensive Care Physicians & Clinical Educator and Senior Echocardiographer at Cardiac Concepts, Melbourne. She currently practices as a Consultant Echocardiography Specialist involved in the training & educating of technical & medical staff at various institutions in Australia and Malaysia, as well as Echocardiography Researcher for Monash University, Practical Clinical Examiner for the Diploma of Medical Ultrasound (Cardiac) with the Australasian Society for Ultrasound in Medicine (ASUM) & Clinical Assessor for the Graduate Diploma in Cardiac Ultrasound, Queensland University of Technology (QUT). Lesley’s commitment and passion is to educate and train sonographers and medical staff to produce quality echocardiograms resulting in optimal patient management and outcome. 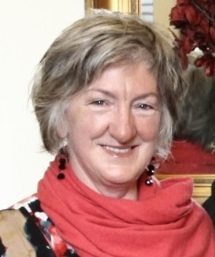 Janette Power is currently the Principle Echocardiographer at the Royal Hobart Hospital, Tasmania. 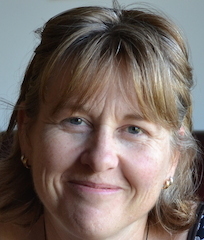 Janette has worked as an Echocardiographer for over 20 years; she completed her DMU in 1995 and has worked in most of the southern states of Australia including a long period at Monash Medical Centre. Janette also spent two years working in London at St Thomas’ and St George’s hospitals. Adrian is a cardiologist at the Princess Alexandra and Mater Adults Hospitals in Brisbane. He completed an undergraduate Bachelor of Pharmacy degree before graduating from Medicine with first class honours and awarded a university medal from the University of Queensland. Adrian completed his cardiology training and clinical echocardiography fellowship at the Princess Alexandra Hospital followed by a further two-year clinical and research imaging fellowship at St Michael’s Hospital and the Li Ka Shing Knowledge Institute (University of Toronto) in Canada. 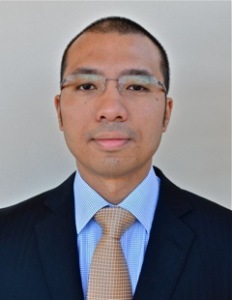 He is a Senior Lecturer at the University of Queensland with active research interests in aortic valve disease and is an examiner for the Australasian Society for Ultrasound in Medicine (DMU, Cardiac).